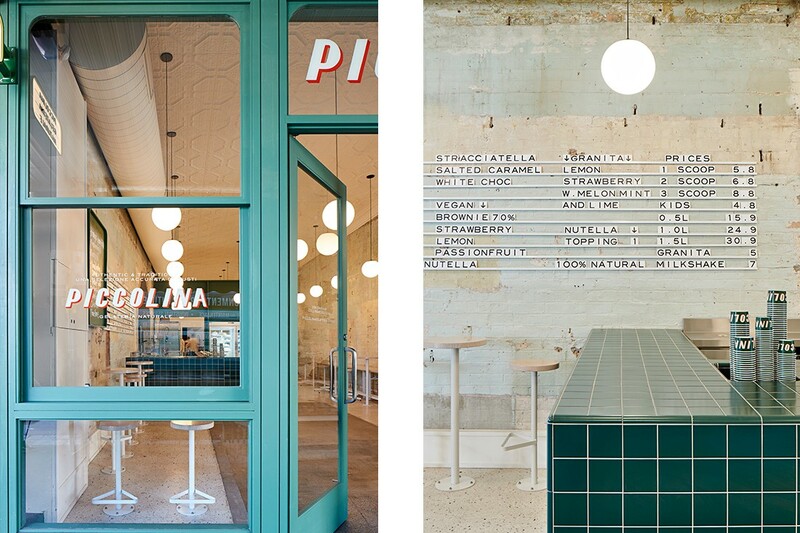 Serving up a modern space for traditional gelato, Piccolina is a refreshing take on vintage Italian design. Layers and patination add character to the space. 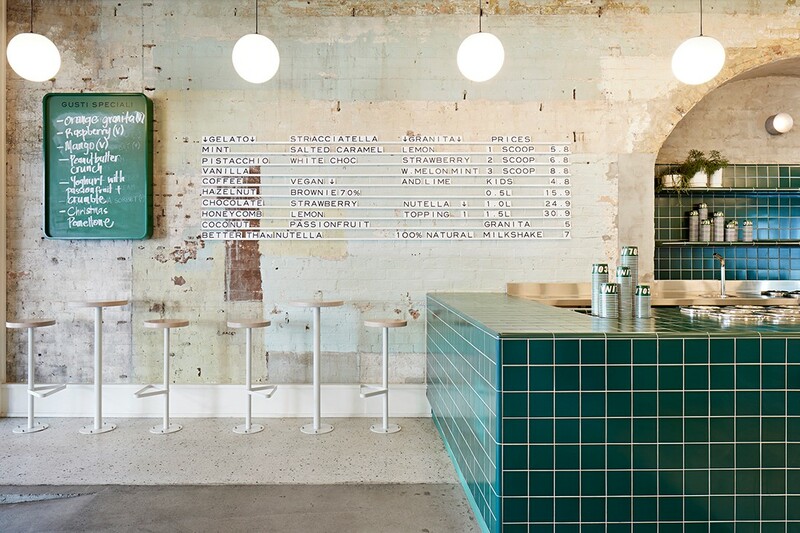 Located in what was originally a watchmaker’s shop, Piccolina Gelateria in Collingwood, Melbourne, is rewinding time to the mid-twentieth century in Italy. 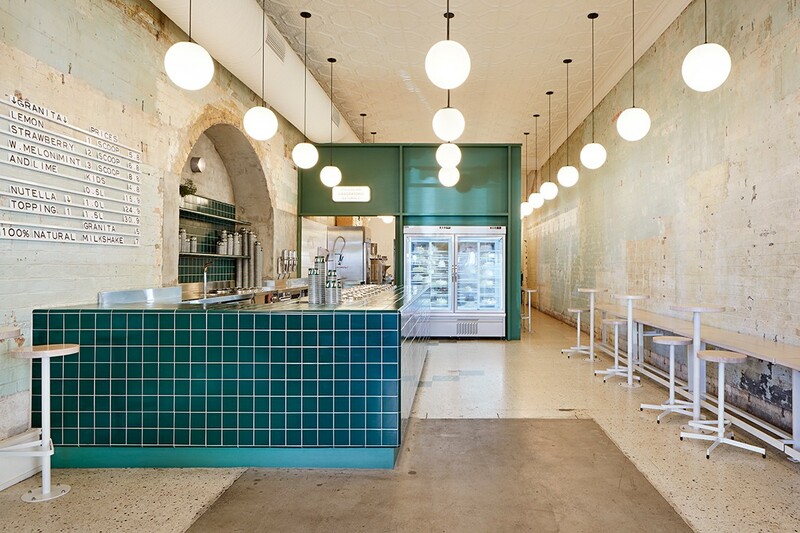 Hecker Guthrie took cues from the patina of the building to create a space that evokes the culture of 1950s Southern Italy, where owner Sandra Foti’s father learnt the tradition and art of gelato making. Piccolina in Collingwood embraces an Italian heritage. Piccolina, meaning ‘little one’ in Italian, was Foti’s grandmother’s nickname for her, and it honours her childhood memories and represents the start of Foti’s love for traditional Italian gelato. 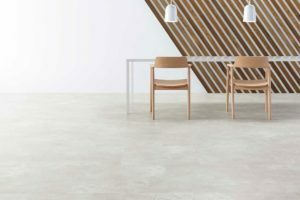 This is the second Piccolina outlet, following hot on the heels of Hawthorn, and the new 250-square-metre flagship store includes a 5-metre-long pozzetti bench, open kitchen and commercial kitchen. 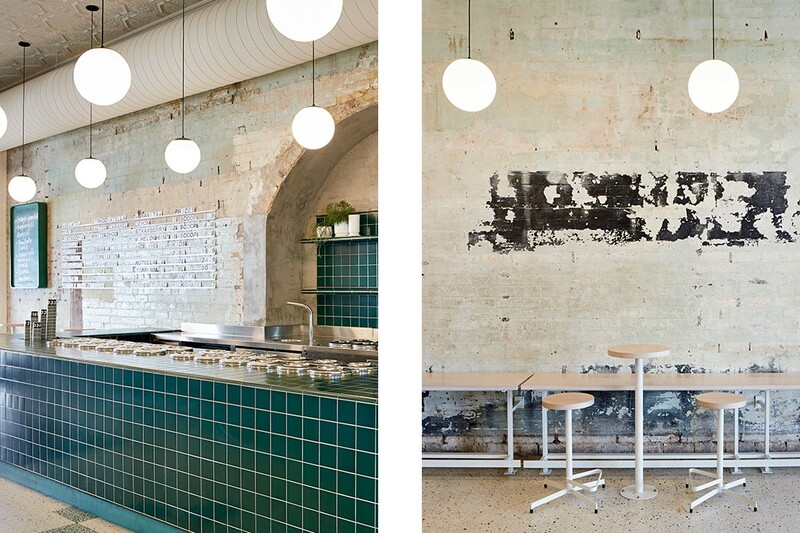 Hecker Guthrie stripped back the interior brick walls to expose the original architectural features. “It was important to allow the building to speak for itself. We often set out to avoid layering directly onto buildings and draw on existing features to define the palette. 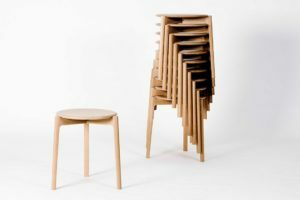 The intention was to create a new experience whilst respecting the existing, so it seemed fitting to leave the walls and ceilings in the original state,” says Hamish Guthrie. The patinated layers of paint in shades of light green, cream and brown then set the tone for the colour palette. Layers and patination add character to Piccolina. 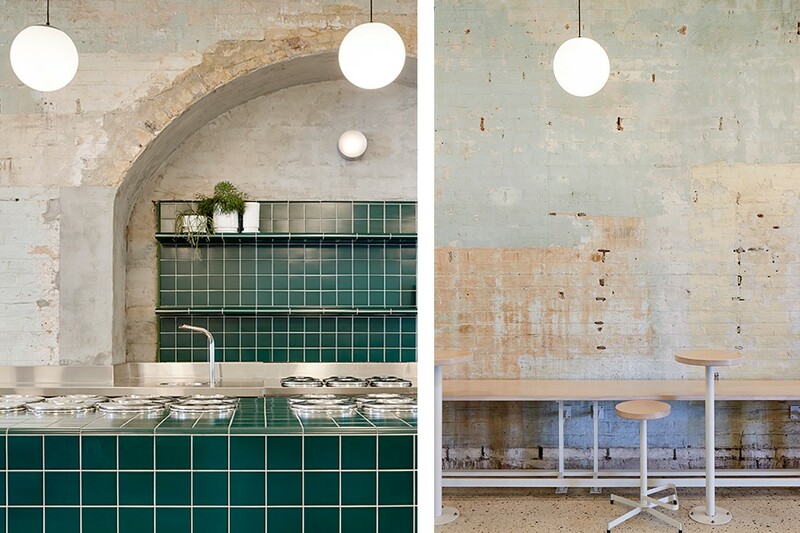 The façade woodwork and internal additions are painted green, and square-cut emerald-green Italian tiles cover the serving areas, the curved edges being a feature of 1950s Italian design. Projects of Imagination’s green, red and white logo and packaging pay homage to the Italian flag and iconic Italian fonts. 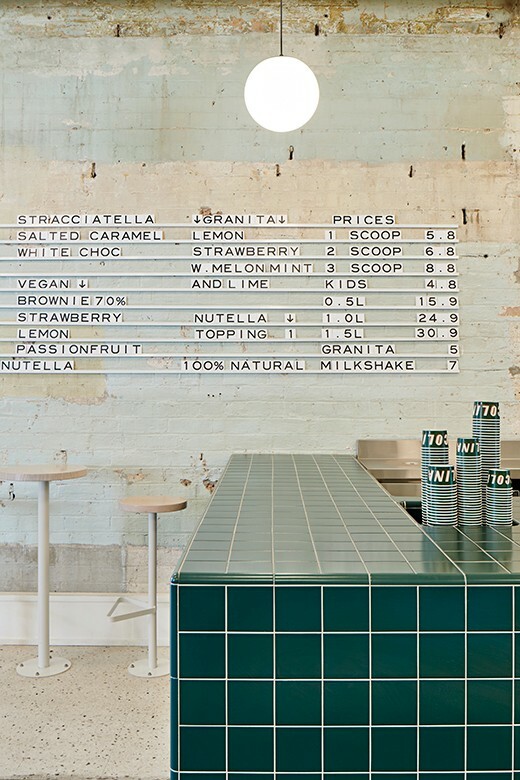 The menu board is simple so as not to conceal the wall; individual letters placed on white railings and arranged to list flavours, sizes and prices. Other restored features include the pressed metal ceiling and terrazzo floor, a suitably traditional Italian paving material. The stone archway behind the serving bar frames shelves displaying the natural ingredients used to make the fresh gelato, and silver containers in the traditional Italian pozzetti counter house the gelato. 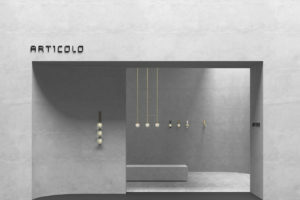 A traditional signboard at Piccolina, designed by Hecker Guthrie. 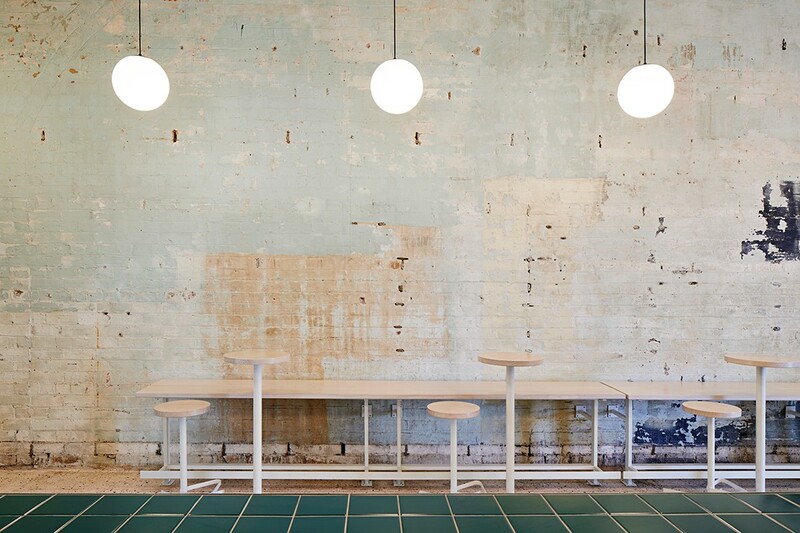 Timber and white-metal stools and tables are provided for seating and extend along the counter overlooking the open kitchen for a behind-the-scenes glimpse of the pastry chefs at work. 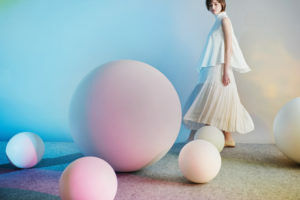 A series of Luna Pendant lighting from Schoolhouse Electric are simple and elegant with hand-blown glass globes referencing the innovative Flos lighting from mid-century Italy. 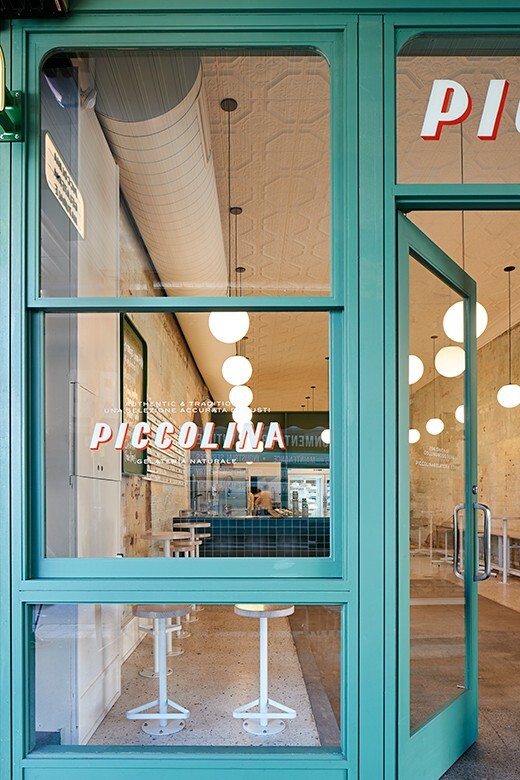 Serving up a modern space for traditional gelato, Piccolina is a refreshing, melt-in-your-mouth take on vintage Italian design. See another hospitality project by Hecker Guthrie, The George on Collins.